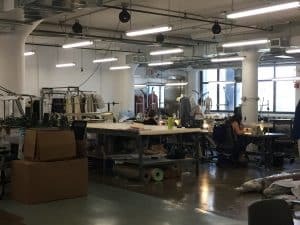 Recently Fashion Mingle was invited on a behind-the-scenes tour of the Brooklyn Fashion Design Accelerator, an exciting new hub for ethical fashion in the heart of Brooklyn, NY and a member of our New York Fashion Directory. The BF+DA is a Pratt Institute Initiative that helps entrepreneurs scale their business as social entrepreneurs, integrating local manufacturing and a sustainable design supply chain into their bottom line. The heart of the BF+DA is the Venture Fellow Program, which is a four-step application process. Those who are accepted into the program have generally been in business for one or two years, or if they are pre-launch they are doing something very disruptive and have business plans that are spot-on. Companies generally join the BF+DA as a Venture Fellow for about three years. 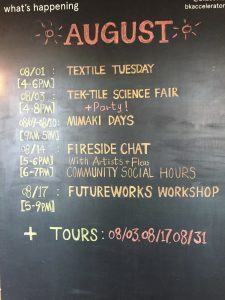 In addition to the open studios, they also receive mentorship in finance, sales and marketing, as well as sustainable fashion manufacturing. The BF+DA is becoming a critical resource for fashion designers who want to incorporate ethical fashion into their brand. 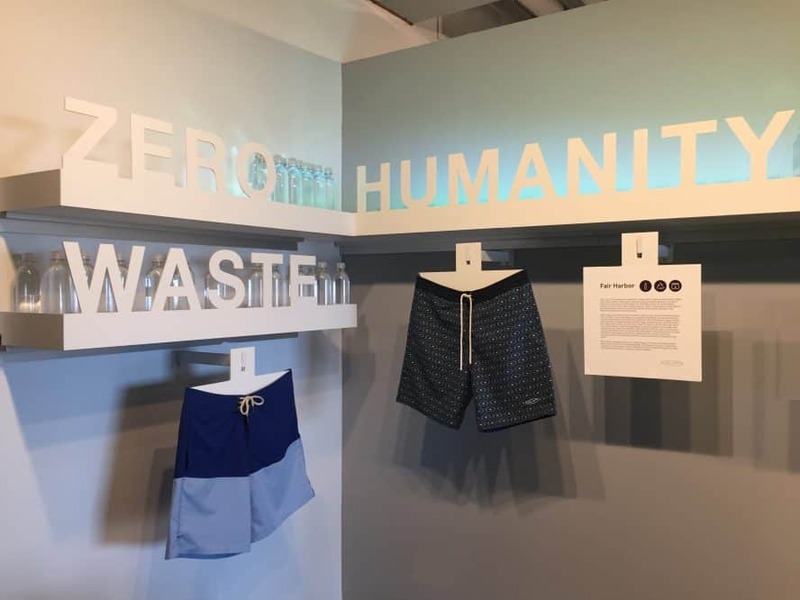 The organization offers designers access to experts in sustainability from a holistic perceptive as well as sourcing and fabrics and can provide sustainable manufacturing to a limited number of designers. Studios are available at their Brooklyn location for resident members of companies that are too early stage, or too far along to participate in the Venture Fellow Program. While the BF+DA is located in Brooklyn, they have members from all over the United States and offer three levels of annual membership: Pioneering at $350, Emerging at $175, and for students it’s $40, each with various levels of access. As a fashion tech company, we are most excited about BF+DA’s online Sustainable Fashion Roadmap Tool that helps designers measure the impact of the decisions they are making on the environment and use guidelines to implement sustainable practices, such as helping a designer choose fabrics that have the lowest water usage. So no matter where you live, you can have access to the information you need to make ethical fashion decisions for your brand. 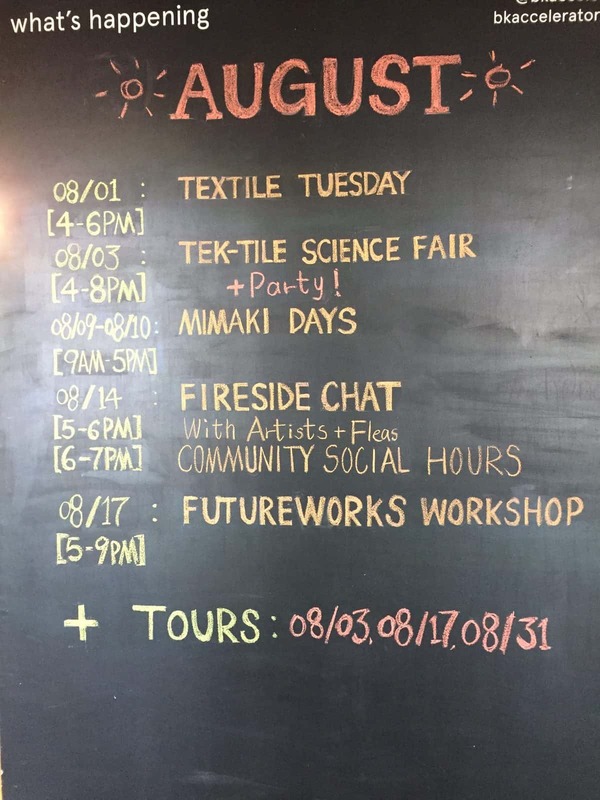 BF+DA hosts a number of events that are open to the public, approximately 8 a year. 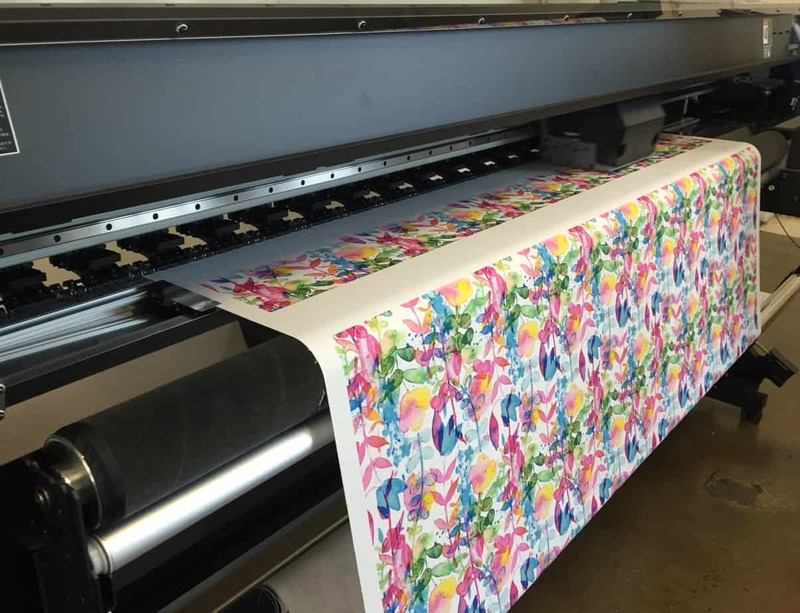 Four times a year, they offer panel discussions, one recent event was the Trump Effect, which discussed what the new Administration would mean for the apparel industry and issues that affect workers such as immigration. They also recently hosted over 700 people for the BF+DA Positive Impact Awards which honored ethical fashion pioneers in the fashion industry including Target, Mara Hoffman, Avery Dennison and Save the Garment Center as well as fan favorites, Alabama Chanin, RiverBlue, BF+DA Venture Fellows Kirrin Finch and Pratt Professor of Environmental Justice, Jennifer Telesca. 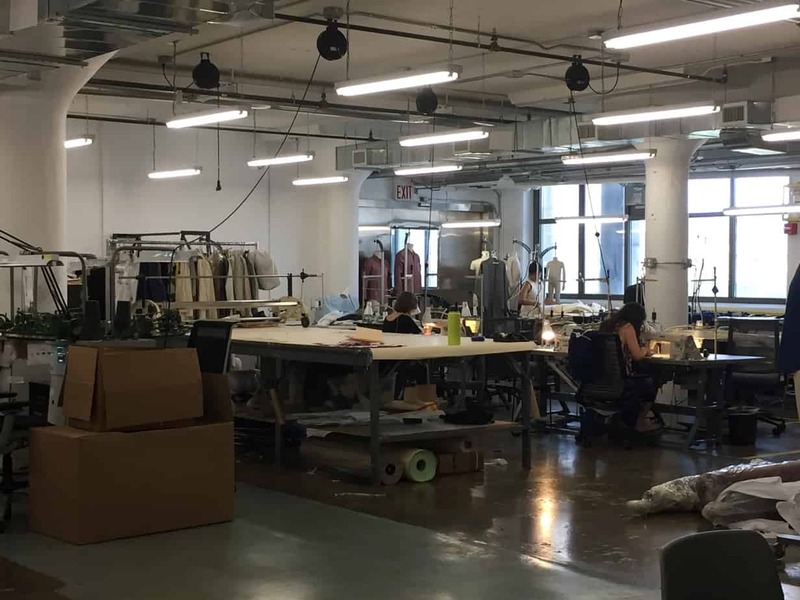 We thank Brooklyn Fashion + Design Accelerator for the tour and encourage all designers who are committed to ethical fashion to become a member and start incorporating sustainable manufacturing into your collection. Fashion Mingle is committed to sharing with you the resources you need to grow your business, so register for our free local fashion directory today. Jessica Faith Marshall is the founder and designer of her namesake brand, Jessica Faith Marshall. Since the beginning of her career, her brand has received press coverage in The Austin American Statesman, InFluential Magazine, The CW Austin, and other publications. She was recently selected as the winner of the Susan G. Komen Project Pink design competition against twenty other adult designers. Now, her business is currently based out of New York City where she continues to contribute as an intern for FashionMingle.net, and release seasonal collections in fashion weeks around the country.